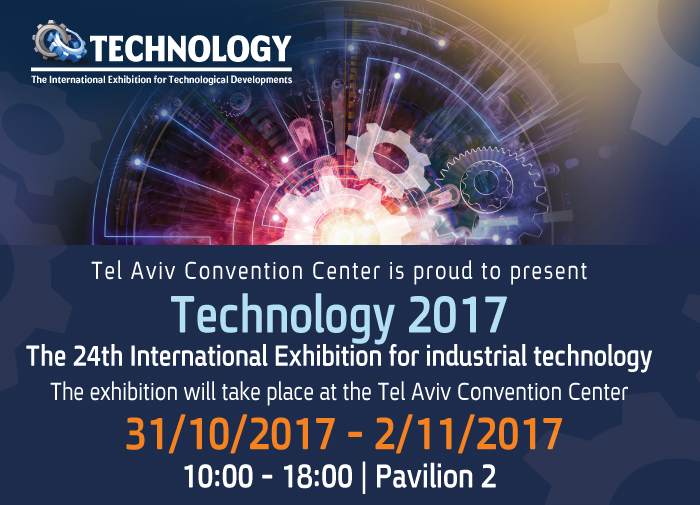 Technology 2017 is Israel's largest technology exhibition. It will be the 24th event and the largest of them all. A unique platform for foreign companies to introduce and launch innovations into Israel's professional arena. Exhibiting companies from Israel, representatives of foreign companies and national group stands will exhibit on more than 10 000 m2 both indoor and outdoor. More than 15 000 visitors are expected to attend. Alongside the exibition, seminars and business meetings will take place.